As an orthopedic surgeon, I specialize in sports medicine and hip preservation. I think our field is very special because we’re able to use a combination of conservative and surgical treatments to help a variety of individuals return to certain activities or achieve specific goals. I believe that helping patients return to a desired level of activity can help improve their lives and overall health. When we personalize a patient’s goals and collaboratively craft successful treatment strategies, our team develops a strong personal connection with the patient. In accomplishing this, we help patients lead full and engaged lives. I enjoy working at The Ohio State University because we have the unique opportunity to combine clinical practice, community outreach, academic research goals and teaching skills. When I’m not working, I enjoy spending time with my family and inventing new adventures with them. We love being outdoors and enjoy being a part of our community. 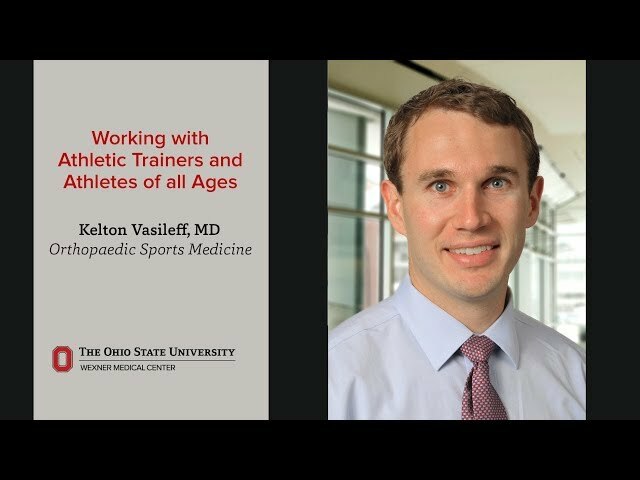 Vasileff himself is very good. Dr. Vasileff is an amazing human! He is a gifted surgeon and a kind man. I can't thank him enough for the work he has done on my hip. He has helped to improve my life 100%! Made us feel comfortable and relaxed. Share personal experiences to make him for approachable and easy to talk to. Answered all questions professionally and took time to answer. Did not rush through the appointment to get to the next patient. Took time and showed he cared. Dr. Vasileff has always been a great provider. I will definitely use him for my next orthopedic surgical need, and have recommended him to family and friends. he did a nice job of explaining all the ins and outs of what could happen and why he recommended a different type of treatment. As of 12/20/2018, Dr. Vasileff has reported relationships with the companies or entities listed below. If you have questions about the relationships listed below, please ask the faculty member. If you have questions about how these relationships are monitored by The Ohio State University Wexner Medical Center, please contact our Compliance Office.